In attempt to create a Wolverine clone, a new top-secret experiment begins. 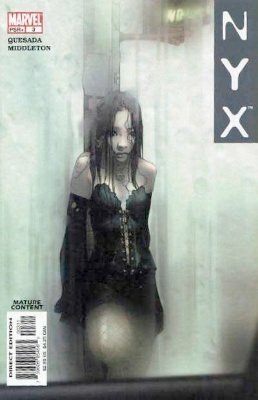 An embryo using the X and Y chromosomes from the Weapon X program create a child named X-23. At the age of seven, X-23 undergoes radiation poisoning in order to activate her mutant gene. Her claws are coated with adamantium and she develops a murderous rage. After escaping, X-23 wonders America for many years, mostly as a mute. After meeting Spider-Man and Wolverine, she joins the X-Men, becoming a valuable member of the mutant team. Xemnu is a an incredibly strong alien, seeking to conquer Earth. 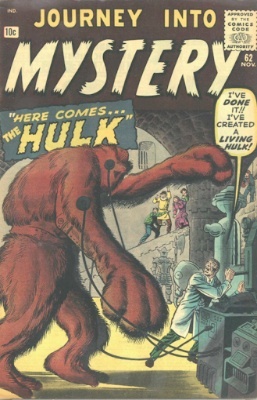 Xemnu is often called Xemnu the Titan or Xemnu the Hulk. Xemnu attempts to invade Earth several times, but is always stopped by Doctor Strange, the Hulk, or the Defenders. Besides being as strong as the Hulk, Xemnu has superior psionic powers, allowing him to control millions of minds at once. 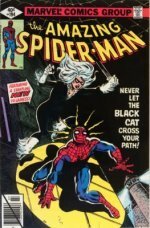 We appraise all comic books free of charge! X-Factor began as a reboot/reunion of the original X-Men team of Cyclops, Beast, Iceman, Angel, and Marvel Girl. Beast, Iceman, and Angel had all ended up in the Defenders, before that super-team ended its run, but the other two characters were somewhat more complicated. Cyclops had married and semi-retired as a superhero, but decided to leave his wife and baby son to rejoin the X-Men, especially once he found out that Jean Grey, aka Marvel Girl, aka Phoenix, was actually alive. All had believed her dead after the Dark Pheonix storyline, but it turned out that Jean had never been Phoenix at all, and had rather been kept alive in a cocoon under Jamaica Bay while the alien entity Phoenix took her place. It had been the alien Phoenix who sacrificed itself to save the other X-Men, not Jean. 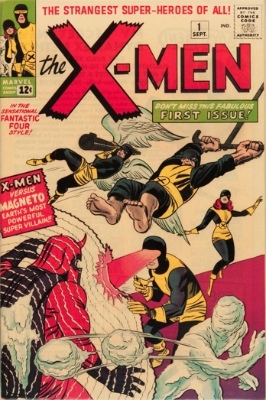 The team formed when the original X-Men wanted to disassociate themselves from Xavier's school, since Xavier had installed Magneto as its headmaster. X-Factor tracked, captured, and rehabilitated rogue mutants, training them to reintegrate into society. Later, the X-Factor team and the current X-Men team would mix and mingle, changing members back and forth. X-Force is a mutant super-group created by Rob Liefield, originally intended as a reboot of the New Mutants. Cable and Warpath of the New Mutants are joined by Feral and Shatterstar (who had both made their first appearances in New Mutants #99) to form a new, more proactive group to combat anti-mutant forces. 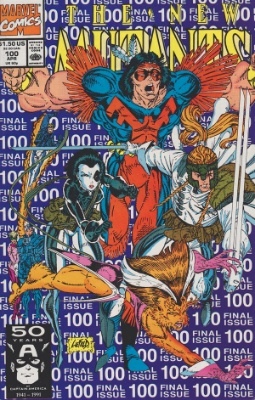 New Mutants ended with #100, and X-Force #1 appeared four months later, in August of 1991. See the value of other Marvel Comic superheroes! 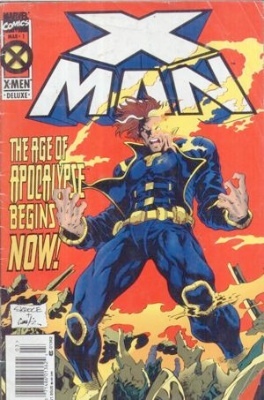 X-Man is Nathaniel "Nate" Grey, who comes from an alternate reality in the #content_36281511, known as Earth-295 or the "Age of Apocolypse." He is the child of that reality's versions of Scott Summers and Jean Grey (Cyclops and Marvel Girl/Phoenix), who has been given Omega-level mutant powers through genetic tampering by the imaginatively-named Mr. Sinister. X-Man is the most powerful mutants in the world, with psionic abilities far beyond even Charles Xavier. X-Man is now mostly drained of power, with telekinesis all that remains. At his peak, however, his powers were so great that he could destroy entire planets. Professor Charles Xavier is a wheelchair-bound mutant with psychokinetic abilities. He founded a school in Westchester for "Gifted Youngsters," otherwise known as mutants, young people born with super-powers as the result of genetic mutation. and Scott Summers (Cyclops), whose eyes shoot deadly force beams whenever he opens them, and who must wear either a special visor or special glasses to stop him from destroying everything around him. The X-Men are perhaps Marvel's most valuable franchise, and have been rebooted and changed countless times, and inspiring many spin-offs. X-Statix is a mutant team seen more as celebrities and pop culture icons, designed to replace the gritty violence of other mutant teams. 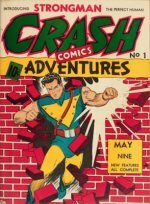 The writing style is mainly satirical of the typical superhero genre. 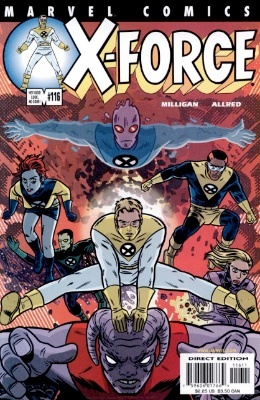 The team originally began as X-Force, but their name was changed after 129 issues. During the last issue of X-Statix (#26), the entire team is killed off. 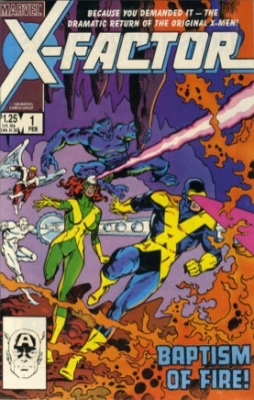 X-Treme X-Men is the name of two comic series, with the first being written by acclaimed X-Men writer Chris Claremont. The team is made up of Storm, Rogue, Gambit, Bishop, Sage, Thunderbird, Psylocke, and Beast. 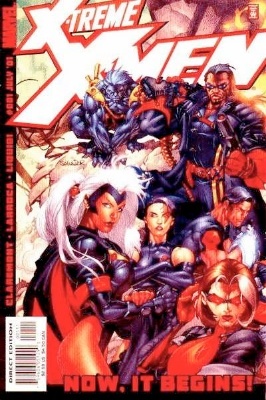 Later, X-Treme X-Men was relaunched as a new series in 2012 with no connection to the 2001 series.